Heist movies are nothing new, especially those set against a drug cartel leader. 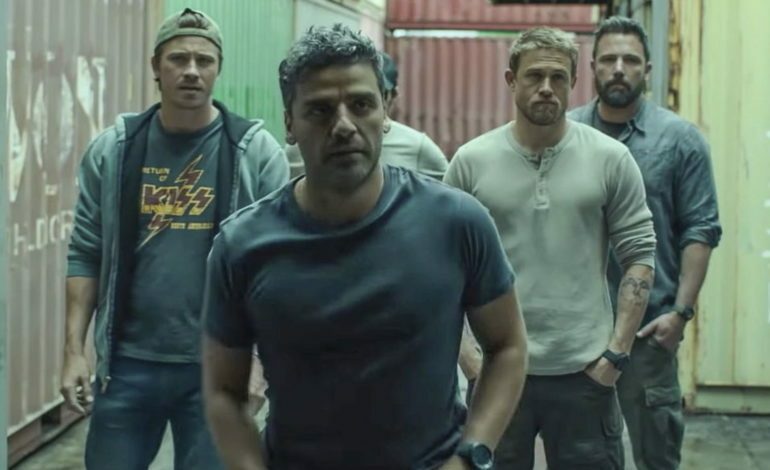 But the first trailer for Netflix’s Triple Frontier shows promise. Not only does it showcase a stellar cast including Ben Affleck (Batman V Superman Dawn Of Justice), Oscar Isaac (Star Wars: The Force Awakens), Charlie Hunnam (Sons Of Anarchy), Garrett Hedlund (Mudbound), Adria Arjona (Pacific Rim: Uprising) and Pedro Pascal (Narcos) but a veteran writer and promising director. Co-writer Mark Boal worked together with director with J.C. Chandor and was the mind behind the brilliant The Hurt Locker, Zero Dark Thirty and Detroit. The director and co-writer J.C. Chandor wrote and directed A Most Violent Year, All Is Lost and Margin Call. The trailer has a very intense and action movie-like feel, showcasing well shot, beautiful locations with explosions and gun fights peppered throughout while Bob Dylan’s Masters Of War plays in the background. It feels very reminiscent of Denis Villeneuve’s Sicario and Ben Affleck’s The Town, almost appearing to be an awesome combination of the two. The film revolves around five former Special Force Operatives who all feel angry and left behind by the country they served. So instead of waiting for life to give them something, they decide they’re going to use their skills to take what’s rightfully theirs. The movie is set to release in select theaters and on Netflix this upcoming March.